Tired of money issues? Or know someone with money issues? Or want to learn the inner workings of the subconscious mind when it comes to money/wealth? 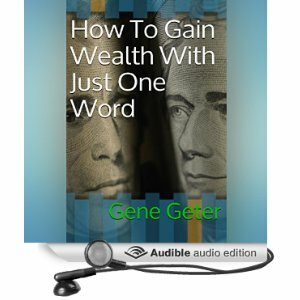 How To Gain Wealth With Just One Word shares personal experiences on receiving wealth and how these experiences will help you. Fraud detective agency warns theft alerts high during holiday season. If it is two things that are on our mind nowadays it is jobs and the price of gas. One home based business in Florida solves the problem.